Until last week I had never set eyes upon fresh cranberries so when I stumbled across bags of them in the shops I was, I admit, more than a little excited. I was also quite puzzled because they didn’t look at all like I was expecting. I imagined cranberries to look a lot like what I imagine fresh currants to look like, but that description doesn’t help you at all does it? So I imagined them to be about the size of a pea, a rich pinky red colour and slightly translucent with skin and flesh like a grape. Other than the colour I was pretty wrong. 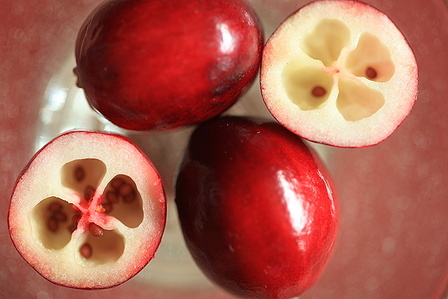 Cranberries are in fact about the size of an olive, the skin is opaque and the flesh on the inside is white and spongey with little seeds in the middle. So I bought a couple of bags. I wasn’t really sure what to do with them so at first I was going to stick them in my new dehydrator (more about that later). Why Cranberry Sauce didn’t instantly occur to me I don’t know, but thankfully it did. I googled for recipes but to be honest I didn’t find anything particularly inspiring. I ended up taking a few ideas I’d read and just going for it, and it worked. The day I made the sauce it was soooooo very tart but over the next 24 hours it really mellowed out. It is a bit like making a jam, there’s a bit of sugar involved but you need it to cut through the tartness of cranberries. Add Sugar, Orange Zest and Ginger to cooking bowl. Weigh in Orange Juice, add sufficient water to make liquid weight up to 300 grams. Cook 15 mins, Varoma temp, Sp 1, MC Off. Add Cranberries. Cook 5 mins, 100 degrees, Sp Spoon, REVERSE. Pour into a bowl, lift out ginger and zest and store in refrigerator until required. Tip: For a more mellow flavour best made a day or two in advance. Coincidentally, the day after I made this the latest Thermomix Newsletter turned up and it featured cranberries! The most interesting thing was the way that they are harvested. 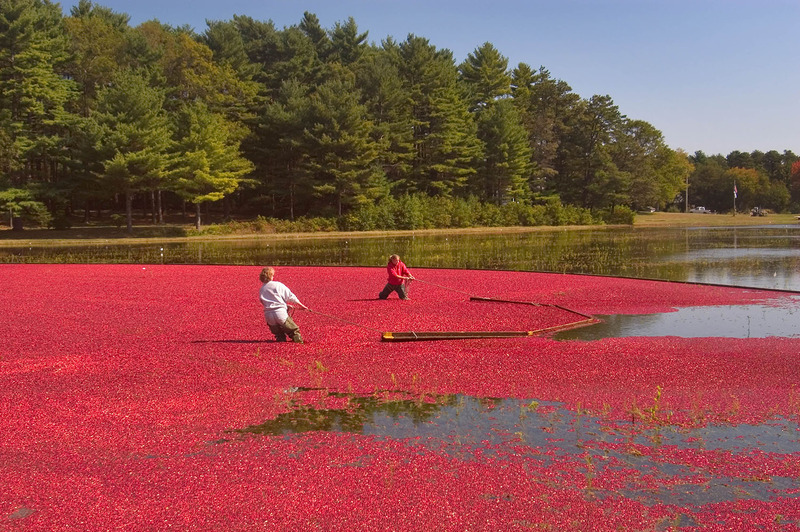 They grow on vines and to harvest them they flood the vines and all the ripe cranberries float. They then just scoop them up off the top of the water. 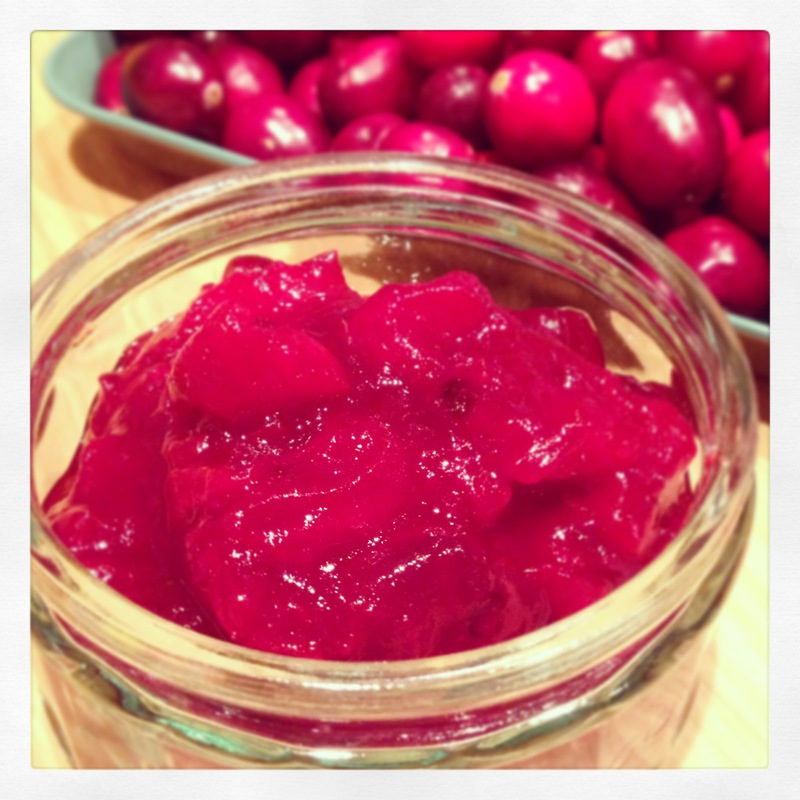 This entry was posted in Recipes, Sauces, Chutney, Relish & Jam and tagged Christmas, Cranberries, Cranberry, dairy free, Ginger, gluten free, Orange, recipe, Sauce, Thermomix. Bookmark the permalink.